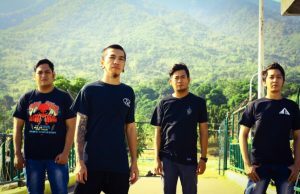 Malaysian metal festival Sarawak Metal Regime have announced that they have been forced to cancel their event due to complaints received from religious people who find offence to the event, music and bands. Read their full announcement below, and further below get on their FB page and provide them with some words of support. 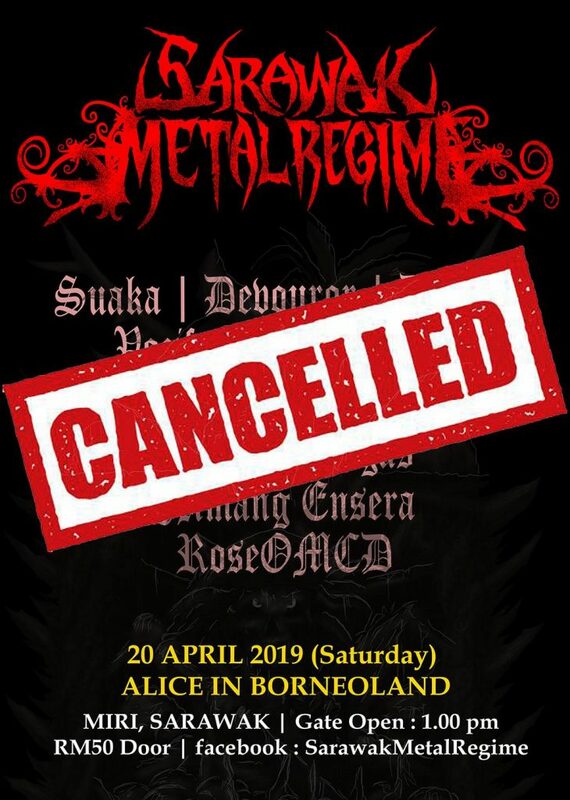 “DUE TO CERTAIN CIRCUMSTANCES THAT WE CANNOT AVOID AND WITH DEEPEST REGRET, SARAWAK METAL REGIME 2019 WHICH SUPPOSEDLY TO BE HELD IN MIRI IS TO BE CANCELLED. THIS IS BECAUSE DUE TO COMPLAINTS MADE BY CERTAIN INDIVIDUALS AND ALSO PRESSURES BY SOME GOVERNMENT DEPARTMENTS. WE REGRET THAT THIS EVENT HAVE TO BE SHUT DOWN COMPLETELY. WE NEVER WANTED THIS TO HAPPEN. 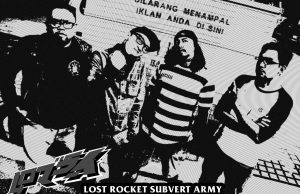 THE CANCELLATION IS UNAVOIDABLE AND PRETTY MUCH BROKEN OUR MOTIVATION AS THE ORGANIZER FOR THIS EVENT. WE HOPE IN THE FUTURE, THE ACCEPTANCE OF EXTREME MUSIC CAN BE WIDELY COMPREHEND BY MOST PEOPLE. IT NEVER COME ACROSS OUR MINDS TO PROMOTE SUCH NEGATIVE INFLUENCES SUCH AS SATANISM, BLASPHEMOUS ELEMENTS OR EVEN PROMOTING DRUGS RELATED EVENTS. THIS IS VERY MUCH INHUMANE AND UNACCEPTABLE. 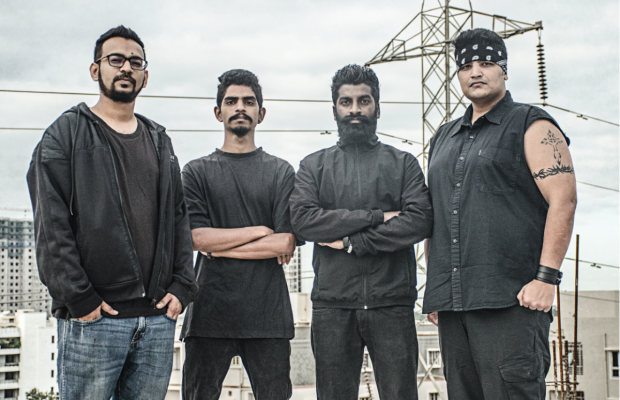 OUR INTENTION IS ONLY TO PROMOTE EXTREME MUSIC IN A VERY POSITIVE MANNER. UNTIL THEN, WE ARE VERY SORRY FOR THE INCONVENIENCE CAUSED BY OUR SIDE.